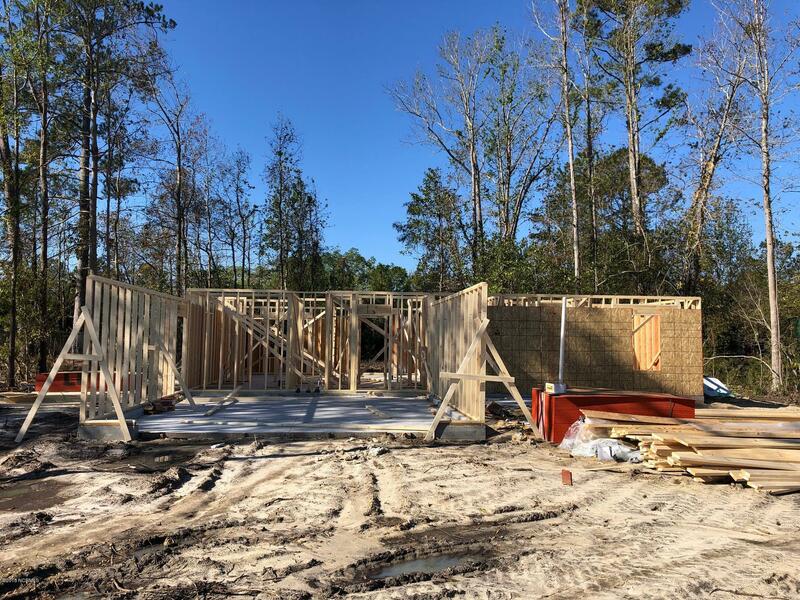 Offered for sale is this new construction 3 bedroom and 2 full bathroom open floor plan with a bonus room over the garage by March Properties. 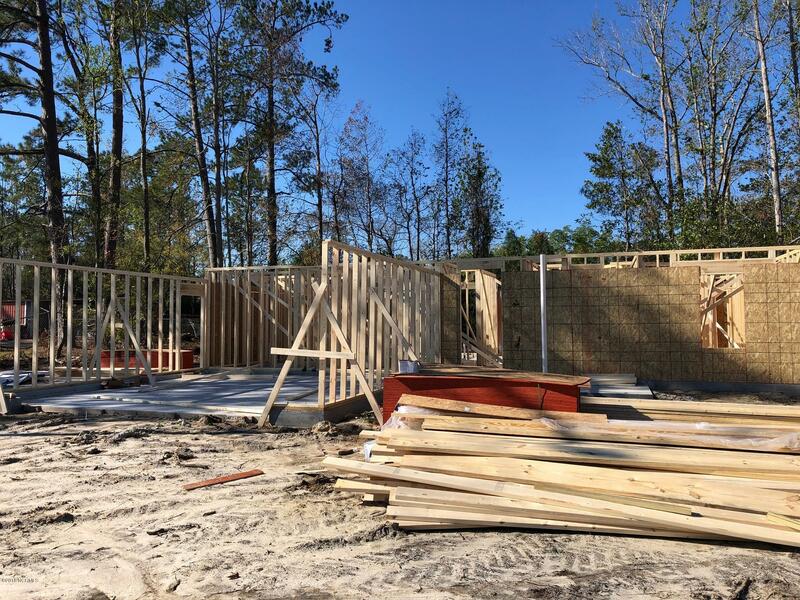 The open floor plan offers luxury vinyl plank flooring through out the common areas, granite counter tops on solid wood white cabinets and vaulted ceilings. 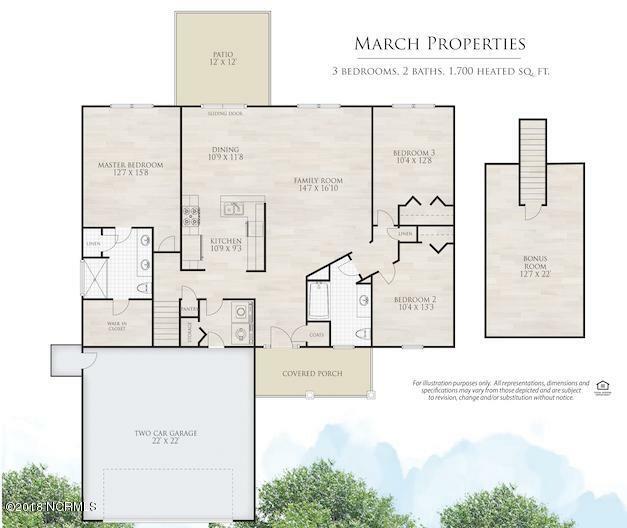 The split floor plan offers 2 bedrooms and a full bath on one side of the home and the master suite with dual vanities and a walk in closet on the other side. 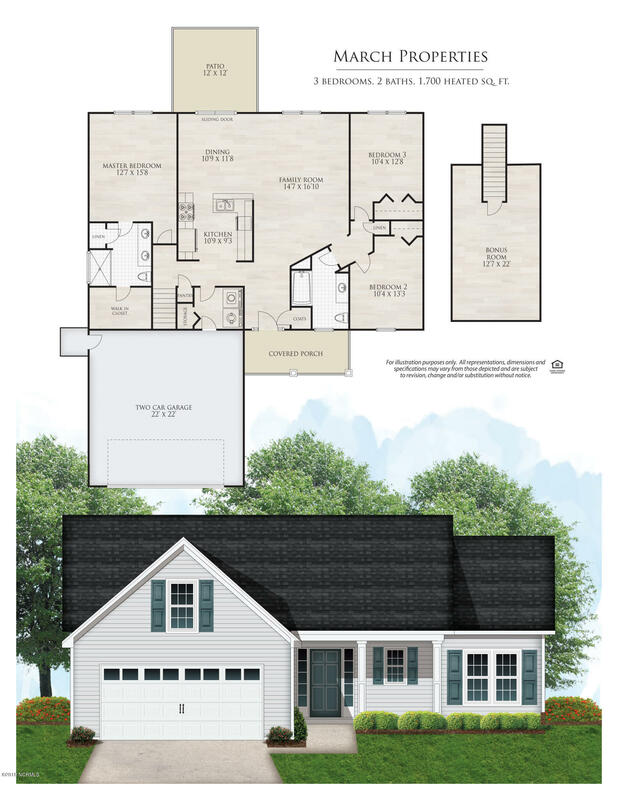 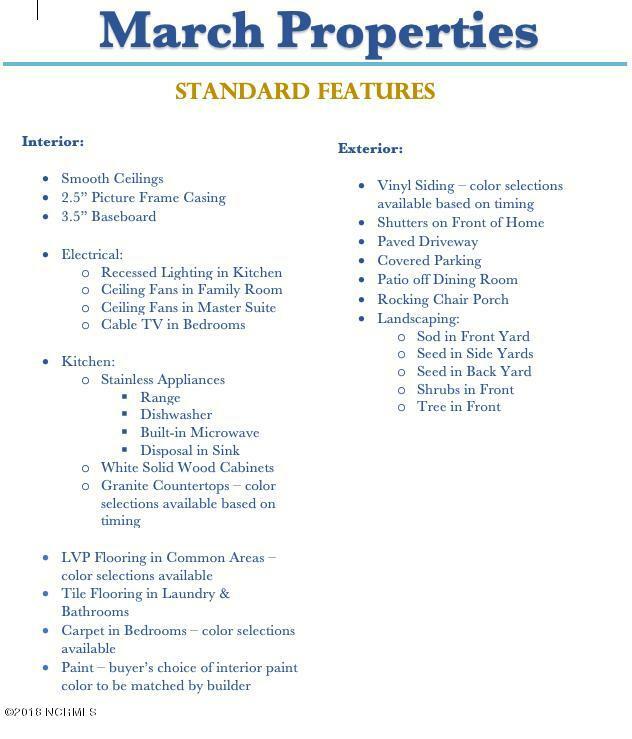 All of this with a ___ acre lot and 2 car garage make this the perfect new home, call today to make it yours!